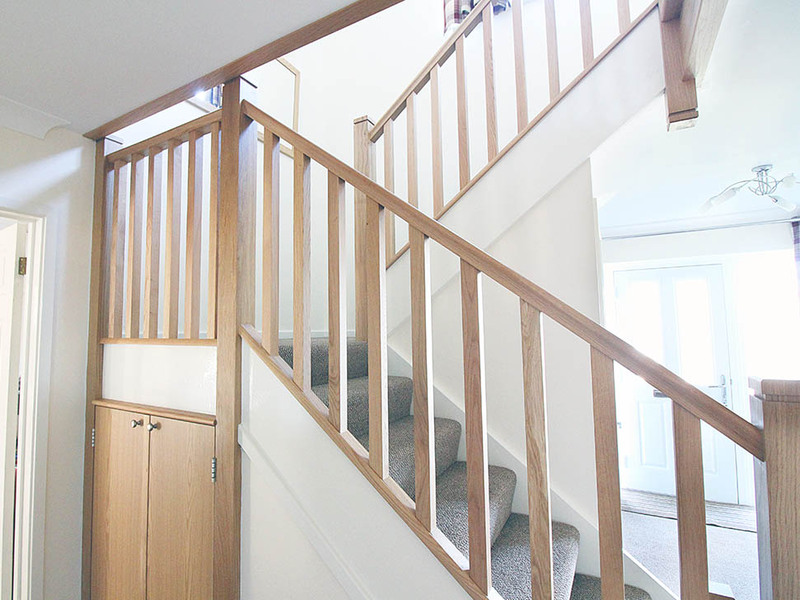 Mr and Mrs Holmes had been looking to bring their staircase back to life for a few months, but unsure of what they could do to compliment their home. 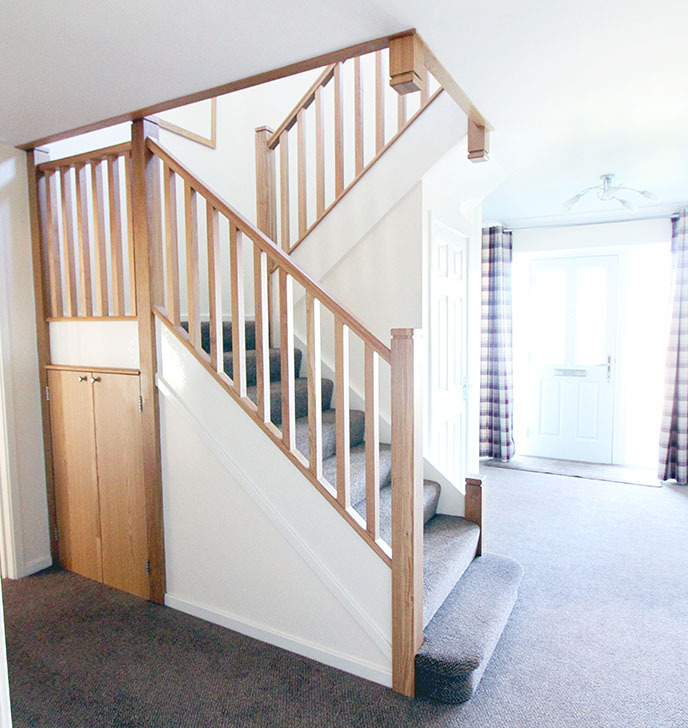 Wanting to transform their staircase to a modern finish, but not too far where it does not match their existing interiors. 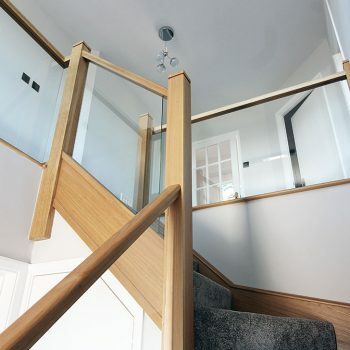 Glass balustrades are not always the answer, with many pets and small toddlers around the Holmes family were worried about the cleaning aspect of the project. 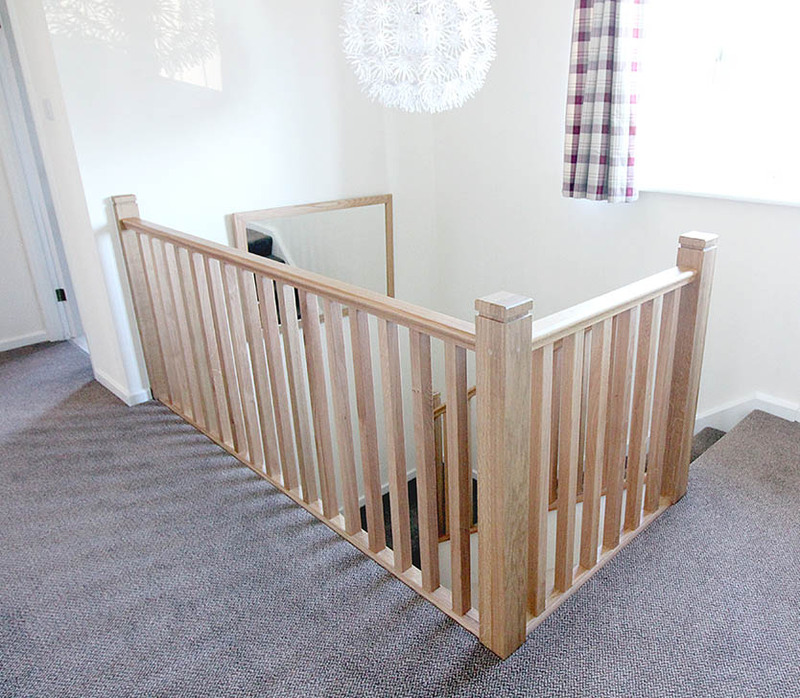 But the idea of a warm oak finish balustrade to match other pieces of furniture around the home was the easy solution. But we chose to do this subtle. 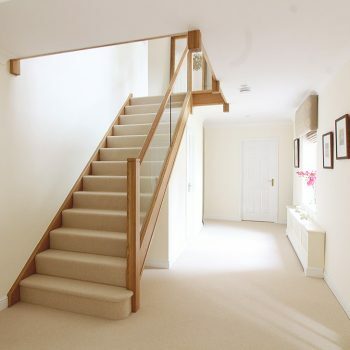 Instead of replacing all components with Oak, we decided to keep large elements of the staircase to a neutral white, which the clients chose to paint themselves to match the walls of the property. 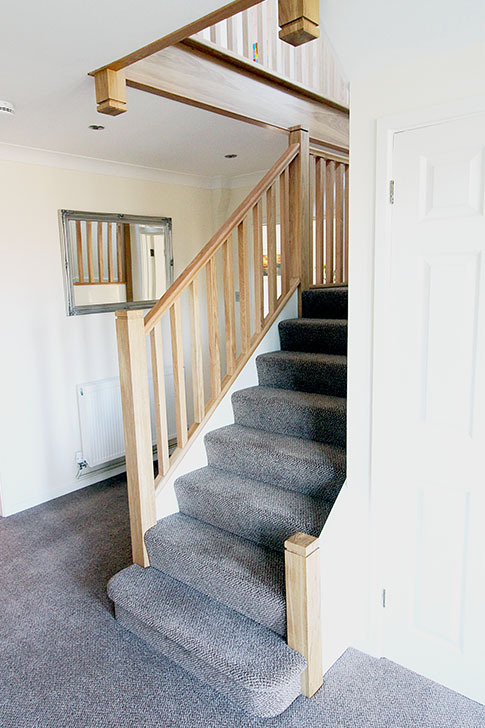 This was all the strings of the staircase (sides of the staircase), typically we would clad these to match the staircase. 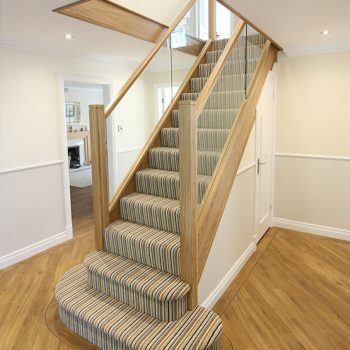 Sometimes it is best to only use the luxury items to a minimum, this makes them feel that much more special. 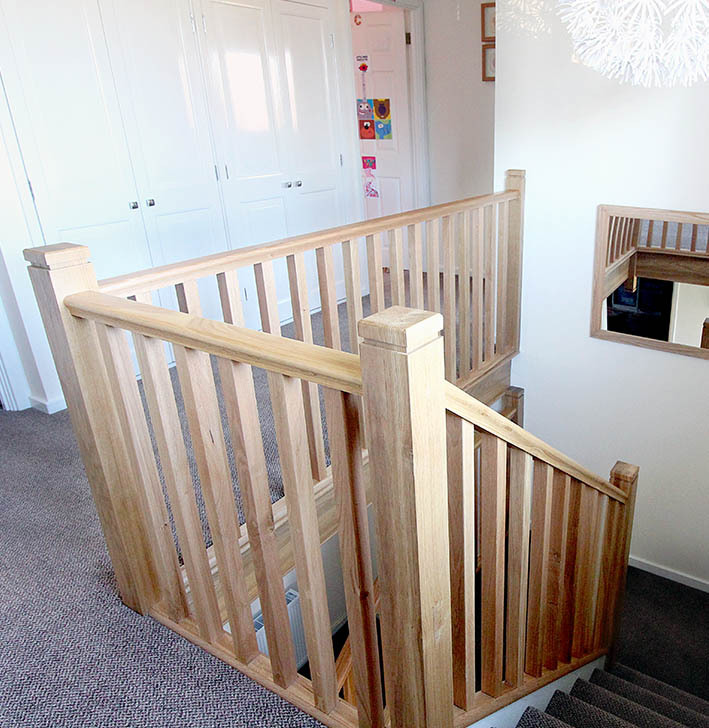 We have a huge range of timber spindles that can be chosen to suit your style, all of which are available to view upon consultations. 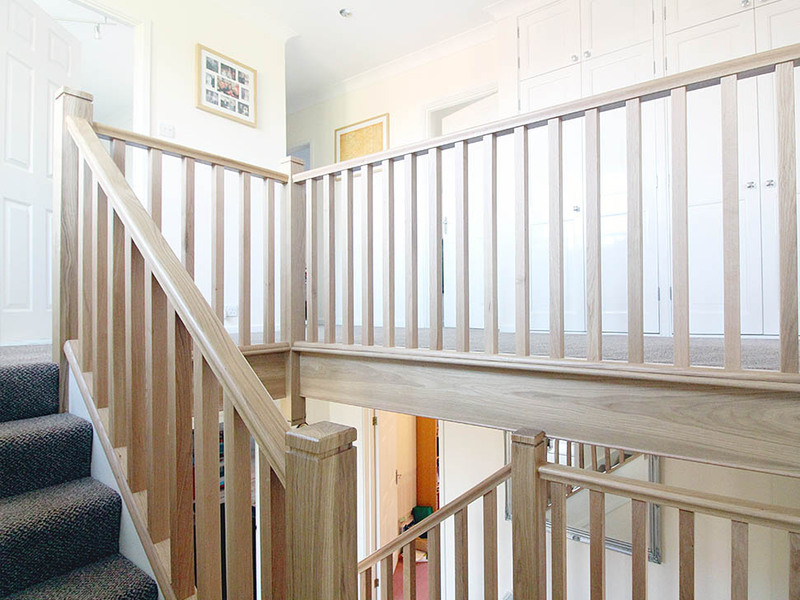 Mr and Mrs Holmes chose the straight lines of our Stratford spindle, for a simplistic and elegant finish the staircase, keeping all elements of their staircase square for a modern finish, with the traditional styling of a spindle balustrade.